Showing 35 articles from March 14, 2018. 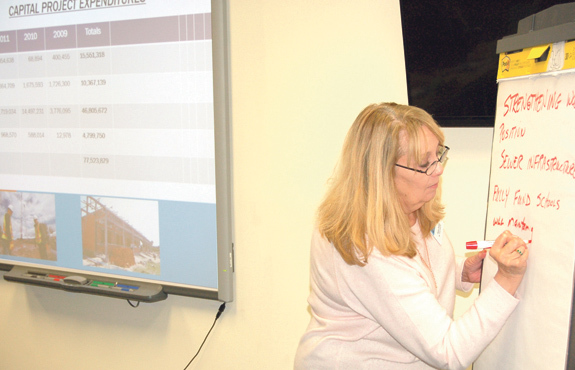 LOUISBURG -- A federal court judge has tentatively agreed with the Franklin County Board of Education and the U.S. Department of Justice about significantly lessening federal oversight of the county's schools. But before the decision becomes final, however, there will be a period to allow Franklin County residents to comment on the underlying issues and the proposed decision. Those comments can be made either in writing or verbally at a board of education meeting on Oct. 8. LOUISBURG -- County commissioners agreed to limit the authority of its airport commission -- at the request of the airport commission, itself. 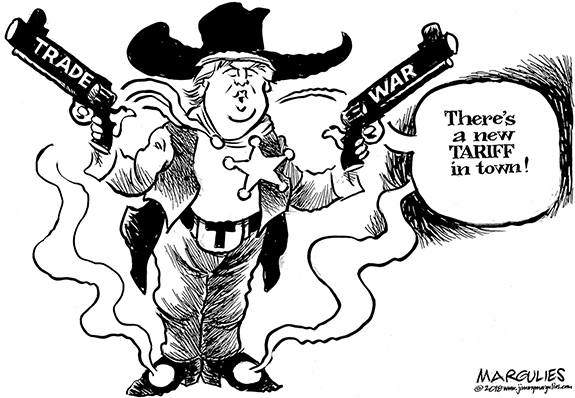 But not everyone was on board with the decision. 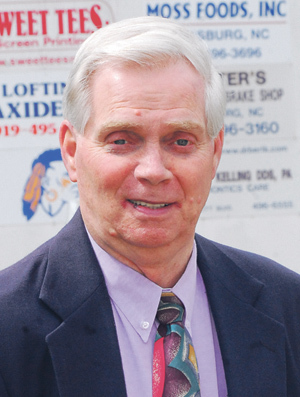 Airport council member Dr. Phil Stover, who was not at the airport board's Feb. 13 meeting when the recommendation was made, expressed his exasperation at the decision during the board's most recent meeting on Tuesday night. COLD SNAP. Franklin County residents got a brutal reminder this week that even though many trees and flowers were in bloom, Mother Nature wasn't done with winter just yet. A cold blast of air rolled through the region late Monday afternoon and left behind a good dusting of the white stuff and even a little ice. It was enough to close schools early on Monday and keep them closed on Tuesday, although by early Tuesday what you see here was pretty much just a bad memory that was inconvenient and uncomfortable but caused few major problems. LOUISBURG -- A Henderson man is slated to appear in court in May, facing charges that he was responsible for a weekend wreck that killed two people -- including a Louisburg woman. According to a report by Trooper A.T. Lamancusa, Jamel M. Robinson, 18 was at fault in the March 10 wreck on N.C. 39 just north of Ingleside that killed two passengers in the other vehicle: Lorraine J. 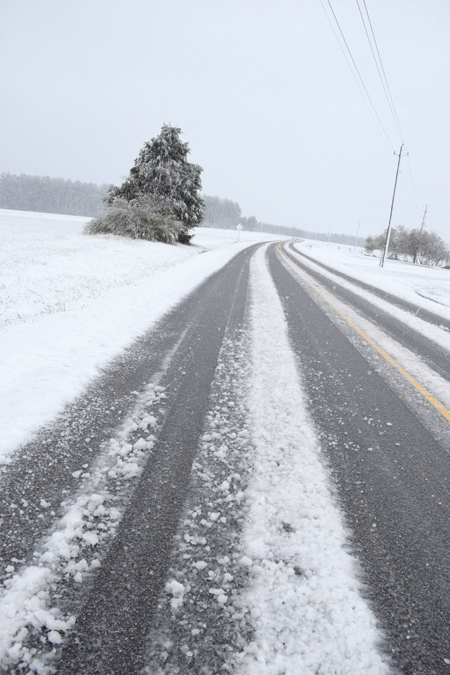 Trader, 57, of Louisburg, and Martezes Hawkins, 30, of Powder Springs, Ga.
LOUISBURG -- If the view from Franklin County's windshield is going to improve in 10 years, county leaders are going to have to get a map and get behind the wheel, commissioners seemed to suggest. The board met during a retreat on Monday, talking about a range of issues -- from economic development, to education to public safety -- that impact the county today and will be critical to the board's vision for the future. Telephone repairs: More show than improvements? Well, well. That started out as fun but, once again, the facts wrecked a potential good news story. If you read last week's column in this space, we raised the question about why large companies that have been granted monopolies are allowed to offer only substandard services to some areas. We presented some photos of telephone lines haphazardly patched in northern Franklin County, wires that had been lying on top of the ground for months. It's been a great week to celebrate and enjoy sunshine. And, no, this editorial has nothing to do with the weather. This is Sunshine Week, an annual effort to shine a light on open government. Could Franklin County be a utopia in next decade? It is fair to say that I have been to my fair share of planning or retreat sessions over the past few months. Just in Youngsville alone, I've sat in on a handful of work sessions, retreats and other meetings where town leaders have taken steps to chart the town's path into the future -- whether it be matters of road improvements, public service or something as simple as making that next trip to the ABC store a more pleasant experience. The Confederate monument on the town of Louisburg Main Street is not a toy for you nor any individual to determine its place or meaning. The Confederate monument is a work of art (noticeably lacking in Louisburg) for which someone (I haven't researched so I don't have a clue) paid mega bucks to honor those who, at that time gave a part of their lives and maybe their lives for a dangerous and threatening era for the South. 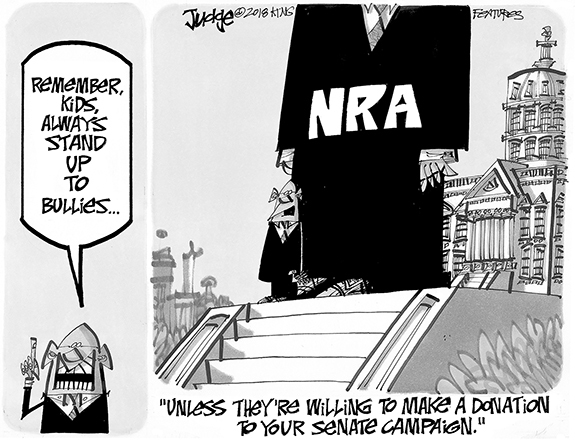 The carnage at Marjory Stoneman Douglas HS in Parkland, Florida deepens the national wound. The question again is: Why did this happen? If there is one thing today I am sure of, it is this question will be asked again. I do not know where it will be asked. It could be Anywhere Town, USA. Will it be Franklinton, Bunn, or Youngsville, or another place most of America has never heard of? LOUISBURG--Funeral services for Bettie Lou Harris, 97, who died Tuesday, March 13, 2018, will be held Sunday, March 18, at 3 p.m. at Nelson Chapel Baptist Church in Louisburg, with the Rev. Nino Akridge officiating. Burial will follow in the Nelson Chapel Church cemetery. FRANKLINTON--Elizabeth Rebecca "Becky" Dickerson, 73, died Wednesday, March 14, 2018 at her home. Funeral services will be held at noon on Friday, March 16, at New Beginnings Church of God of Prophecy, 14 Fairlane Ave., Franklinton, with Pastors Roy Stallings and Steve Kirk officiating. Burial will follow in Fairview Cemetery. The family will receive friends in the church fellowship hall after concluding the burial. LOUISBURG, NC - Maxine Faulkner Pritchard, 95, a long-time resident of Franklin County, passed peacefully on Wednesday, March 7, 2018 at Hillside Nursing Home in Wake Forest, NC. POWDER SPRINGS, GA -- Mortezes S. Hawkins, 30, of Powder Springs, Ga., died Saturday, March 10, 2018. Funeral services will be held Saturday, March 17, at Jordan Chapel Baptist Church, Warren County. Burial will follow in the Cemetery on the Hill, Louisburg. THE BEST AROUND. Louisburg College's Vinny Bailey was recently selected as the National Junior College Athletic Association Division II National Player of the Week. 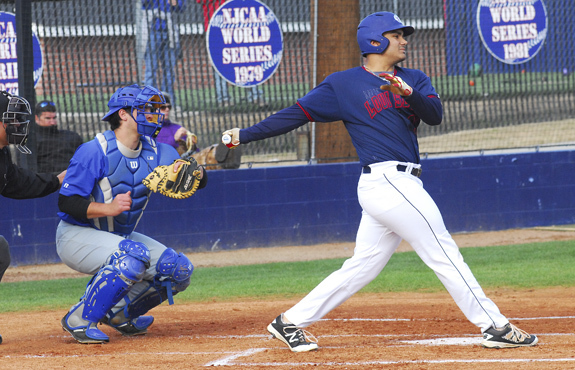 LOUISBURG -- Rivalry week turned out to be a prosperous one for the Louisburg College baseball squad. Taking on long-time foes Pitt CC and Spartanburg Methodist, the Hurricanes took four out of five contests at historic Frazier Field on the LC campus. Thanks to the continued surge, the Hurricanes are now off to a solid start to the campaign at 16-5 under veteran head coach Blake Herring. TAKE THAT. 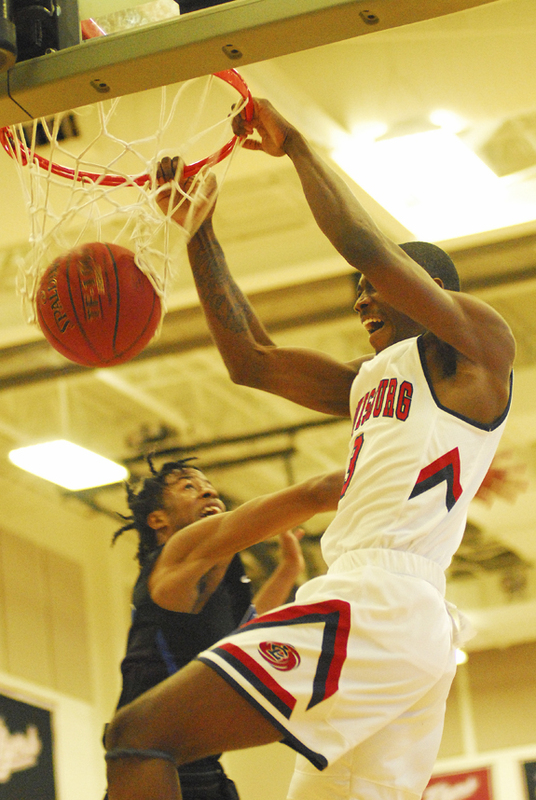 Louisburg College's Marquise Riley sends down a tremendous dunk during last Friday's tournament showdown versus Pitt CC. SOUTHERN PINES -- Coaches are paid to maintain their poise in even the most dire situations -- and Louisburg College men's basketball skipper Neil Dixon needed every bit of his composure during last weekend's action at the Region X Tournament. 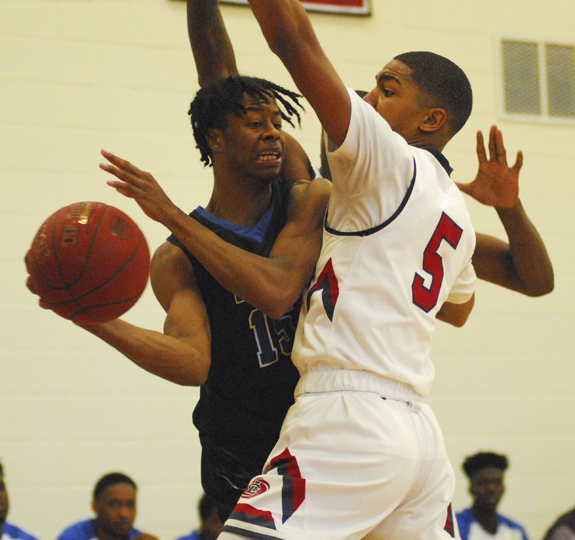 The top-seeded Hurricanes, competing in the semifinals, saw couldn't-miss Pitt CC pour in an array of treys en route to taking a 14-point cushion over LC in the opening half at the Sandhills Community College Gymnasium. 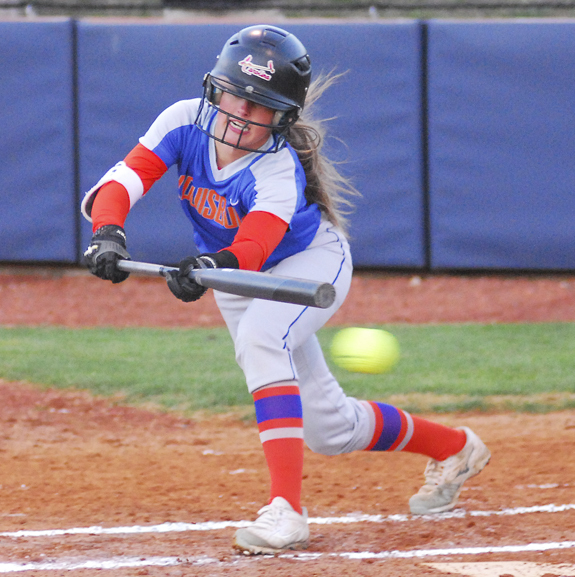 LOUISBURG -- The landscape of Franklin County's prep softball scene might be changing -- but the results remain the same. Both Louisburg and Franklinton -- each coming off playoff visits last spring -- boasted several new players in their respective revamped lineups during last Wednesday's non-conference meeting, which was held at Sheilah R. Cotten Field on the campus of Louisburg College. 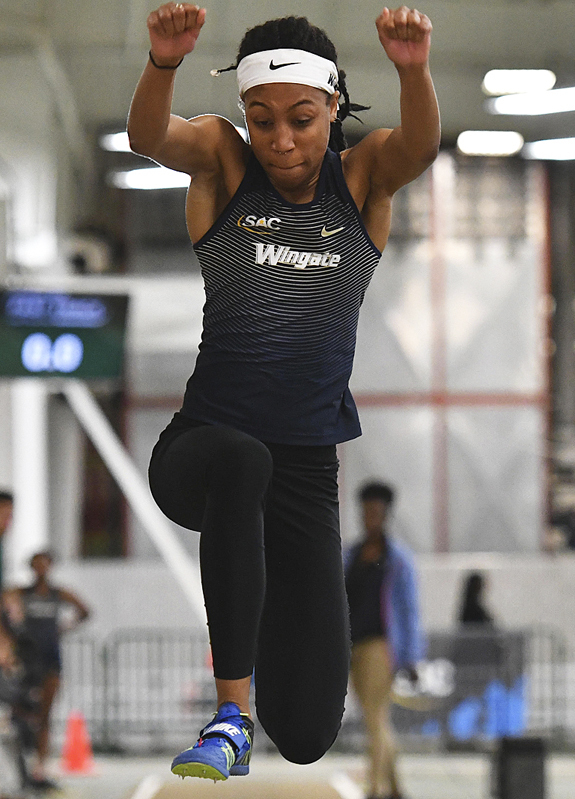 PITTSBURG, KANSAS -- Wingate University junior student-athlete Vanisha Wilshire claimed her fourth All-American trophy recently by taking third place in the women's high jump in the NCAA Division II Indoor Track and Field National Championship Meet at the Robert W. Plaster Center. Wilshire, who prepped at Louisburg High School, established a new Wingate University record with her 1.74 mark. WILSON -- A familiar face -- albeit in an unfamiliar position -- has returned to the Franklinton High School campus. 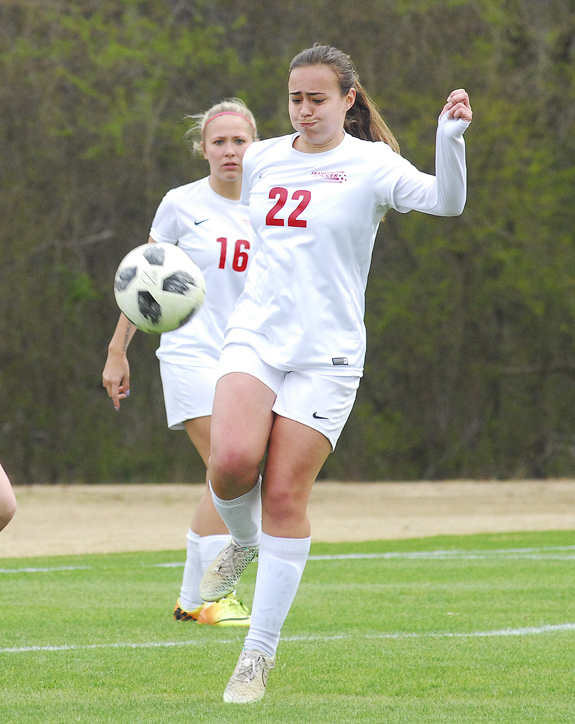 Jared Miller, who was the Northern Carolina Conference Defensive Player of the Year during his soccer career at Franklinton, is now back as the school's girls soccer coach. This is the first head coaching position for Miller, who has the Lady Rams off to a strong start to the campaign. WILSON -- Playing in The Brittany Girls Soccer Showcase is a privilege. But who you play against is determined by event organizers. 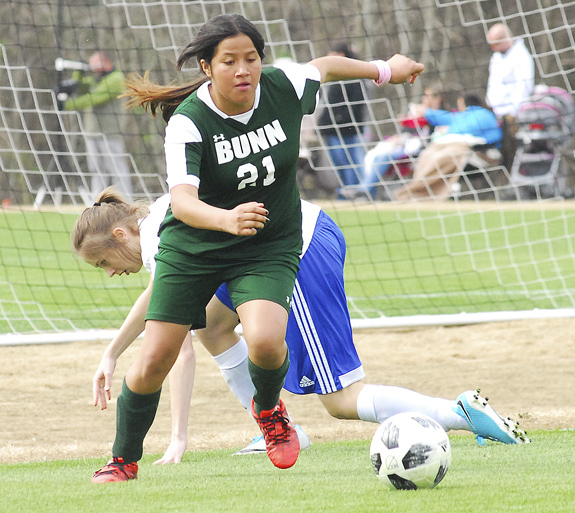 Though they try their best to field competitive matches, sometimes there is a distinct difference between the schools -- and that was in evidence last Saturday during Bunn's meeting with a touted Wilson Christian Academy at Gillette Park. FRANKLIN COUNTY -- Perry's High School Alumni and FCTS/Riverside Alumni will host a golf tournament on May 18 at The River Golf Club at Lake Royale. Door prizes and team prizes for outstanding performances will be awarded. For information on participating, call Evelyn Blackwell (919) 495-8846, Armenta Eaton (919) 556-4375 or Irma Chavis Bailey (919) 516-3786. 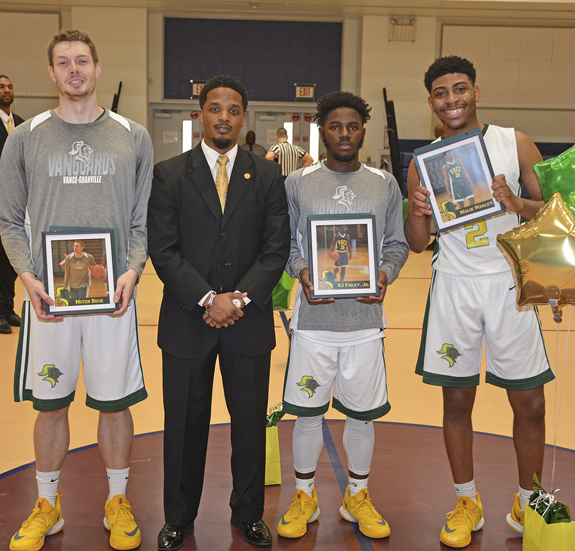 HENDERSON -- Three sophomore student-athletes on the Vance-Granville Community College Vanguards men's basketball team were recently honored on the completion of their playing careers at the college. 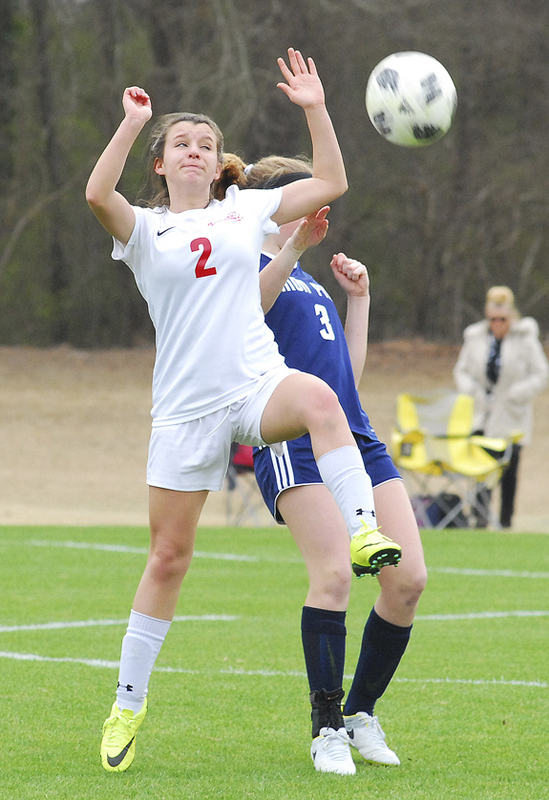 A Franklinton player battles to get the ball in the midfield during last Saturday's action at The Brittany Girls Soccer Showcase in Wilson. 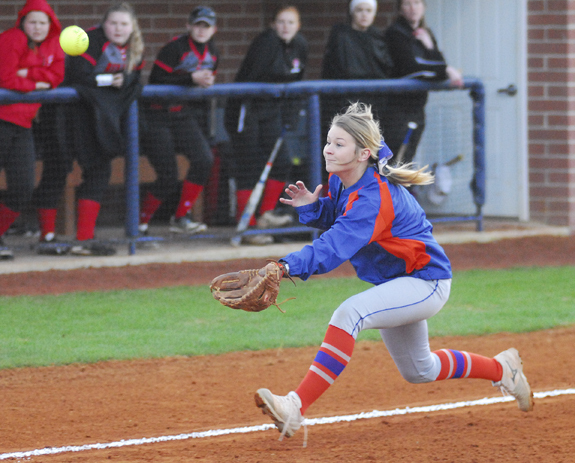 Louisburg third baseman Taylor Ferguson waits for a pop fly to land last Wednesday. 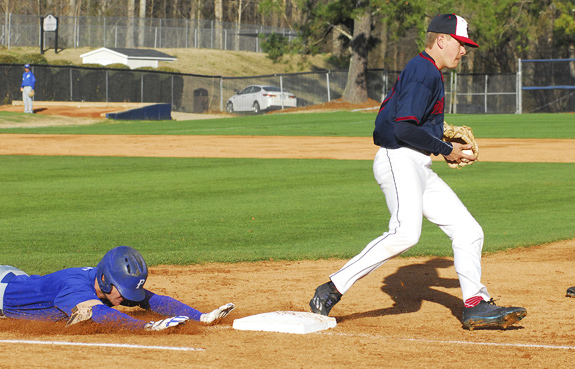 Louisburg College pitcher Chase Webb (right) retires a Pitt CC player at first base during last Wednesday's game at Frazier Field. Louisburg College's Denzel Fuller (5) combines with a teammate to trap a Pitt CC player during last Friday's action at the Region X Men's Basketball Tournament. FRANKLINTON --Deputies and local police are looking for a suspect in two drive-by shootings that happened within minutes of each other. No injuries were reported in either case. First, according to authorities, Franklin County sheriff's deputies, with assistance from Franklinton police, responded to a call of shots being fired on Chicken Farm Road at about 10:44 p.m. on March 11. 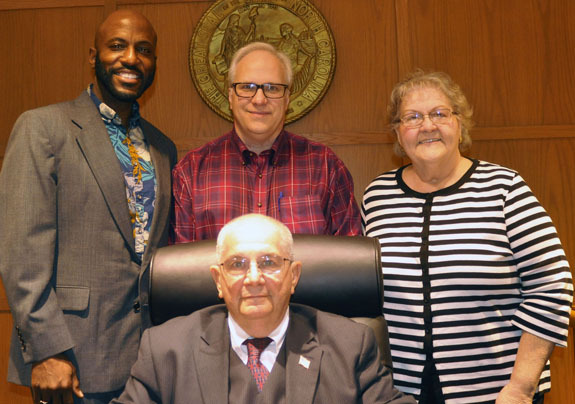 LOUISBURG -- While a good chunk of the county's retreat focused on where the county wants to go, commissioners and staff did take some time to talk about where they've been. "In the last nine and a half years," said Interim Finance Director Chuck Murray, you've spent $77.5 million in capital projects. LOUISBURG -- The key to a Republican victory in November is to not just have Republicans voting but also have an unaffiliated turnout, according to North Carolina Republican Party executive director Dallas Woodhouse, who spoke to Republicans at their recent annual county convention at the Hamilton Hobgood Courthouse Annex in Louisburg. YOUNGSVILLE -- A Youngsville teen has organized a racing event to raise funds for an organization that helps fight hunger. The Youngsville 5K Color Run is slated for March 24 at Luddy Park & Baseball Fields. Franklin Academy High School senior Corey Hilderhoff organized the event as part of a senior project, with proceeds from the event going to Feeding Franklin -- which provides food to area pantries. 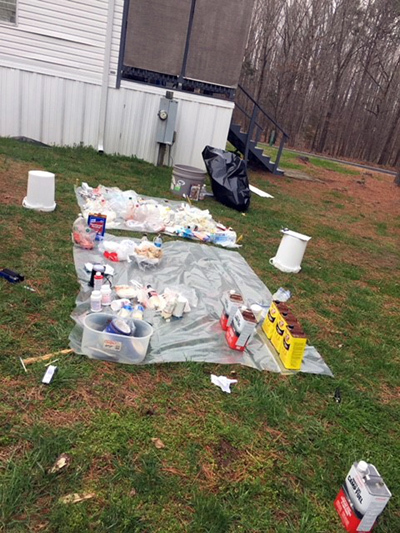 FRANKLINTON -- Sheriff's deputies arrested a Franklinton area man on meth charges. Christopher Dufrasne, 47, of Timberline Drive, was charged with one count of possession of meth, one count of manufacturing meth, one count of maintain a vehicle/dwelling for the purpose of manufacturing Meth and six counts of possessing meth precursors for the purpose of manufacturing.